Jul 24 FAQ: How do I get clients if I don't have any pictures to show? "I don't have any portfolio to show. How can I convince people to work with me, what kind of pictures can I show on Instagram or FB if I have nothing to show?" That's a great question. The long story short is that you can create any photos you need for your portfolio. You can stage your own house, your friend's house, your family's house. It doesn't have to be a client's. The bottom line is to show what you can do as a stager and what your brand of visual style is like. For example, I know many new stylists and new photographers partner up together to do test shoots together for their portfolios. It doesn't matter if the photos were not paid client work, they still showcase the abilities of the stylists and the photographers. It's the same with your portfolio. I think one of the biggest misconceptions about establishing your portfolio is that you have to have photos of paying clients. The issue with that is that if you are new in the business, you will have no photos to show. In my opinion, a well put-together portfolio is about communication. It tells the story of the kind of stager you are: What is your visual style? Your brand? 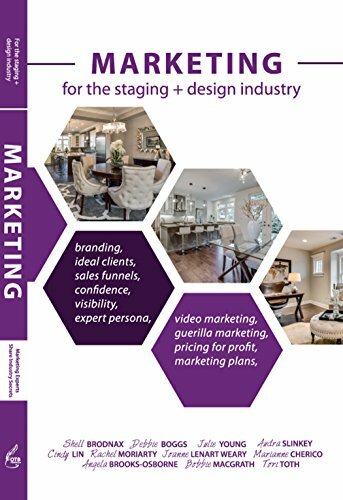 What types of homes do you stage? It also showcases your technical ability: Do you understand the market you are working in? How do you put colors and textures together? 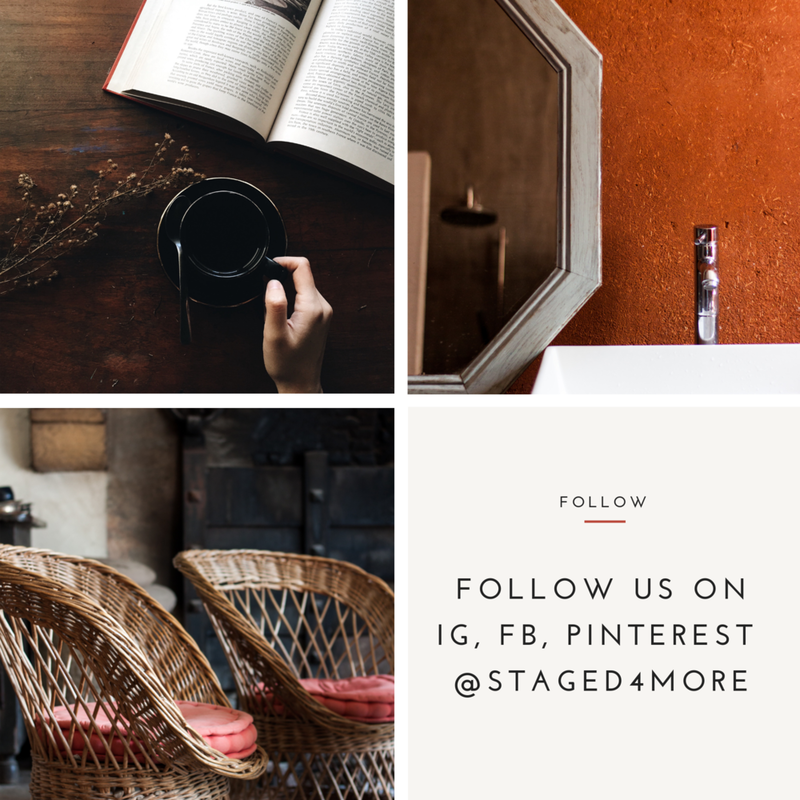 Do you make the best styling decisions for the homes you stage? Ultimately, your portfolio needs to clearly show who you are as a home stager and your capability as a home stager. When you are putting your portfolio together, you have to think about how you are going to show it. Most likely, today, it's going to be online, on your website and social media platforms like Instagram and Facebook. Before the age of internet, you would show clients a physical book. But now, no one looks at portfolio books anymore. 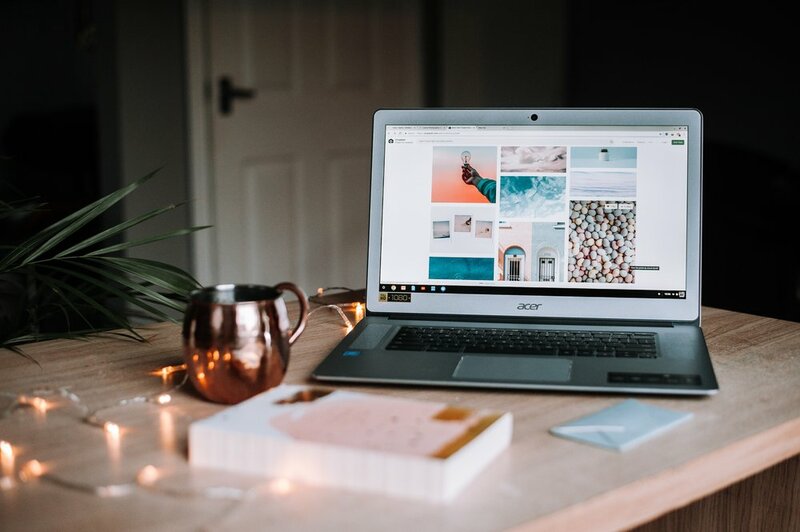 Everyone and everything is online nowadays, so you have to think about how your portfolio is displayed online, both on your website and your social media. When you are curating your photos, quantity is not everything. You want to show quality photos, only your best work, not flooding your website with mediocre work that doesn't showcase your awesomeness as a home stager. Let's look at Apartment Therapy's Instagram as an example. Do you see how the grid shows nine photos with different vantage points, content and a mix of shots? You have straight-on shot from the front, shots from the sides, you have more of the close-up shots and the shots that are more pulled back, and different types of rooms. This allows your eyes to travel and read the scene. This is something that's important when you are putting your portfolio together. You need to think about how your portfolio will TELL THE STORY OF YOUR BRAND. Got any more questions about your portfolio? Leave them in the Comment Section below and I'll answer them one by one.